Cologne – The first title of the season will be awarded on Saturday, as VfL Wolfsburg and FC Bayern München contest the Supercup. VfL Wolfsburg are the 12th club to participate in the Supercup. Bayern, on the other hand, are set to be involved for the ninth time, making them the record participants ahead of Borussia Dortmund (seven), SV Werder Bremen (four), 1. FC Kaiserslautern (three) and FC Schalke 04 (two). VfB Stuttgart, Eintracht Frankfurt, Hamburger SV, Hannover 96, Bayer 04 Leverkusen and Borussia Mönchengladbach have all made one appearance. Wolfsburg have lost more Bundesliga matches against Bayern (27 defeats), and conceded more goals (78), than against any other opponent. Their first defeat in the Bundesliga was also inflicted on them by the Bavarians (5-2 on Matchday 3 of the 1997/98 season). Furthermore, the Wolves have failed to score against Bayern in 36 of their meetings, which is another negative record for the Lower Saxony side, as is their ten defeats at home. Wolfsburg's André Schürrle has a particularly good record against Bayern. The winger won four of his seven games against Bayern with former clubs 1. FSV Mainz 05 and Bayer 04 Leverkusen. Team-mate Naldo has also finished up on the winning side four times against Bayern, but he needed 16 matches for that (two draws, ten defeats). 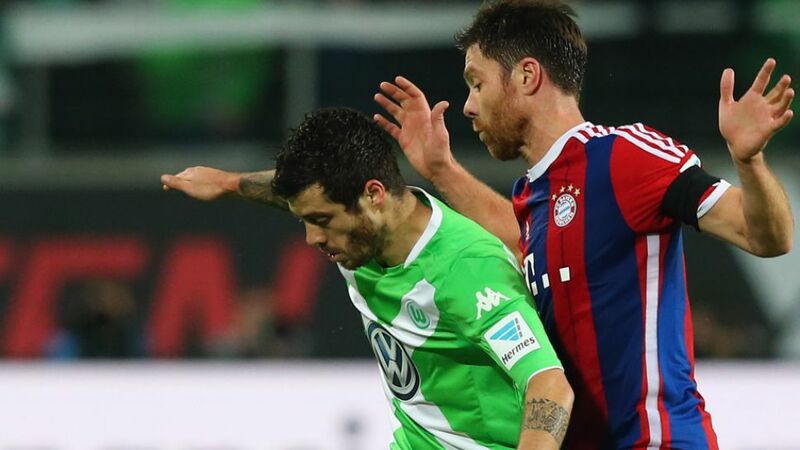 As for Bayern, they have Thomas Müller , who has won nine out of 11 games against Wolfsburg (one draw, one defeat), scoring six goals in the process.